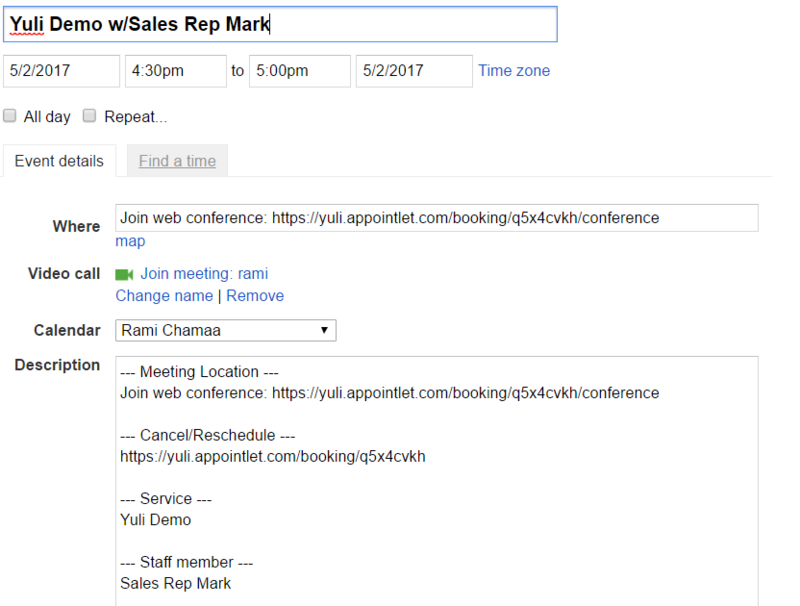 In this guide we'll connect with Join.me to directly generate your meeting links and include them in calendar events. 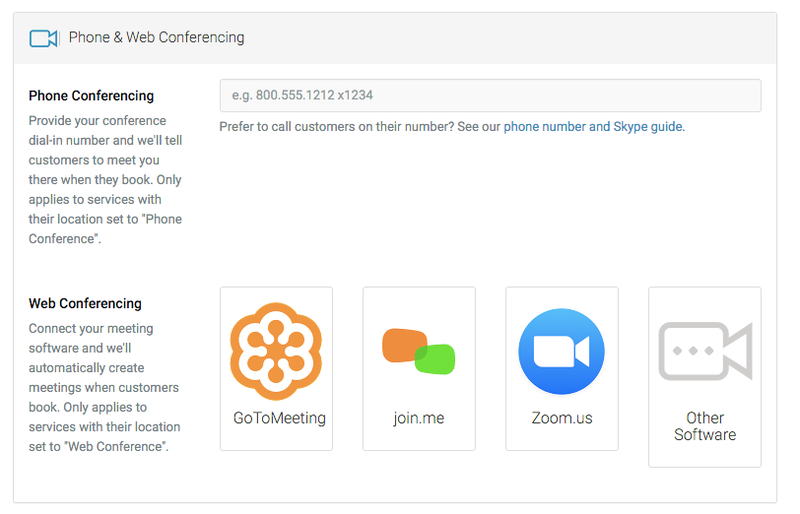 On your service page, set the Location to be "We'll meet on a video conference" and write an explanation of your choice. Once that is done, it's time to update the member information for each member. 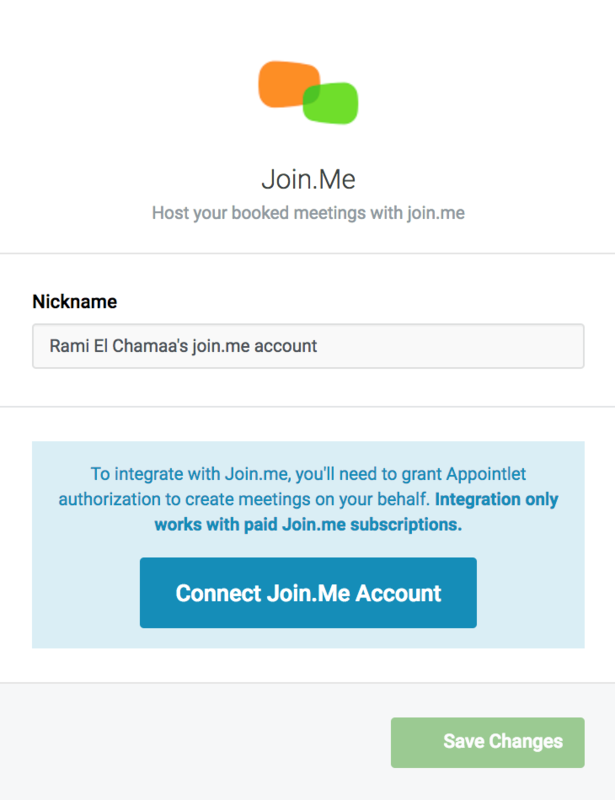 Head over to the Members section and then click on the name of the member that is doing those video conferences. Save your Changes and you should be good to go!